Sometimes plucked is better than hammered. Study harpsichord in a setting dedicated to its flourishing. 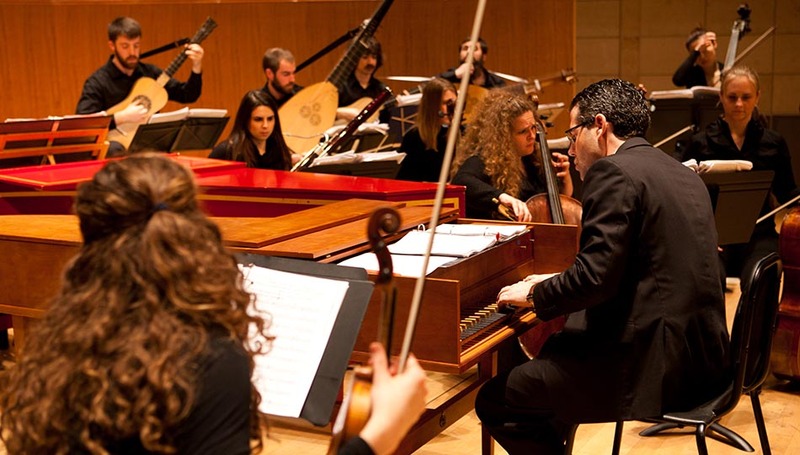 Historical performance is a hallmark of SFCM, and the harpsichord department plays a key role. 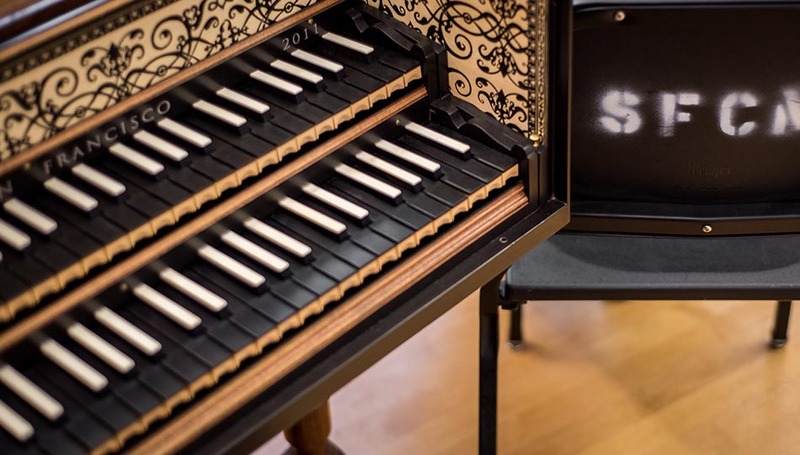 As a harpsichord student at SFCM, you’ll have extensive performing opportunities in both large and small ensembles, taking advantage of a small studio size. Our period instrument collection includes six harpsichords, one fortepiano, and one clavichord. We look forward to your visit! 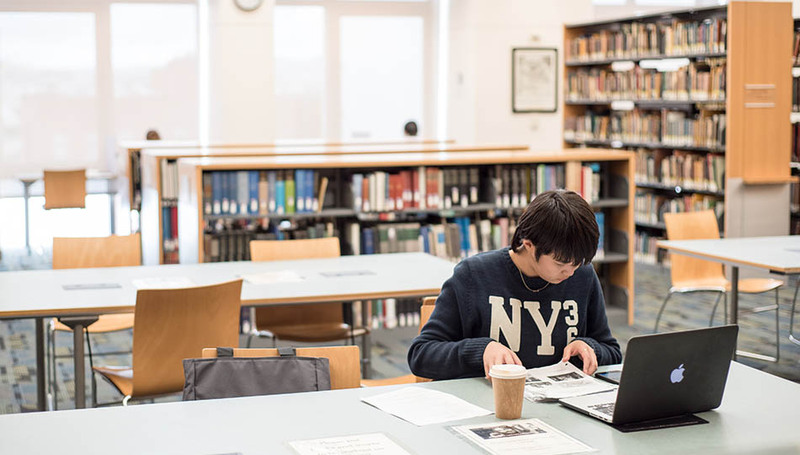 Contact the Office of Admission to take a tour of our facilities and audit a class. You can also contact the keyboard faculty directly to arrange a consultative lesson. 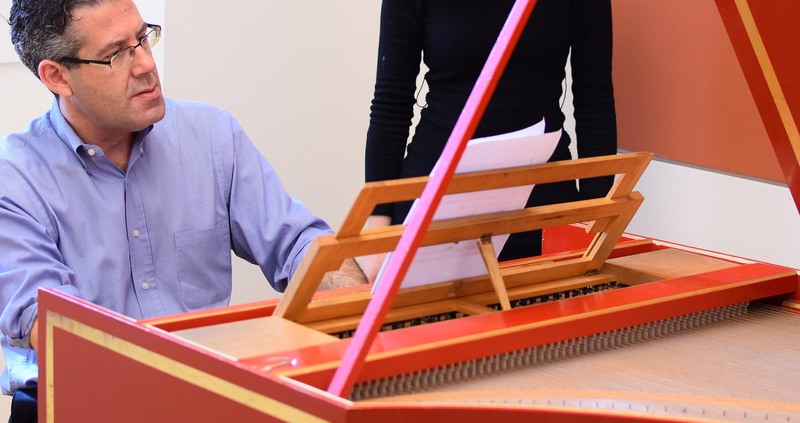 Detailed curricula are available for all harpsichord programs at SFCM. Performance opportunities abound at SFCM, where many departments make use of the harpsichord. 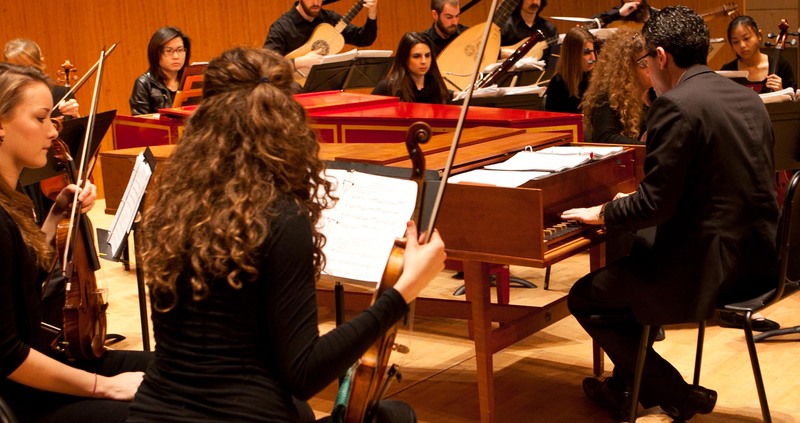 Ensembles featuring harpsichord range from small chamber groups to the Conservatory’s Baroque Ensemble.